If you can't make it to the H-E-B Center for Game 3, 4 and 5 this week in Central Texas, here's your handy channel guide for the various carriers. 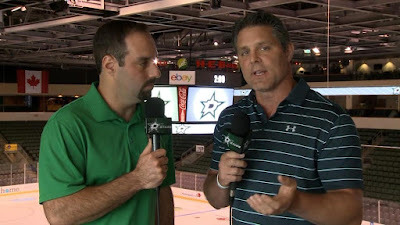 These games will be covered on NHL Network, but Texas fans will be much more at home with Josh Bogorad and Brent Severyn's call on FOX Sports Southwest. Here are the listings for FSSW Plus across major cities in Texas. For other markets from Lubbock to El Paso to Brownsville, check this list.